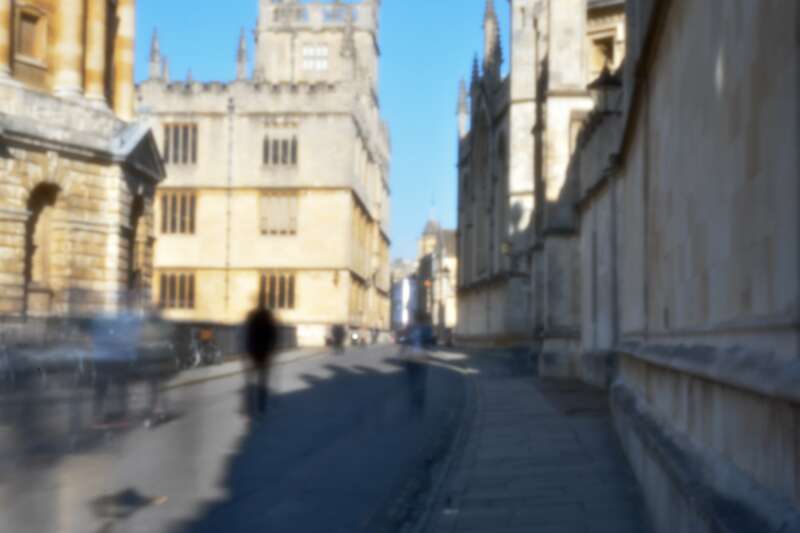 Last summer I bought a Pinhole Pro “lens” for my camera, but I hadn't experimented with until I went for a walk round central Oxford this morning. 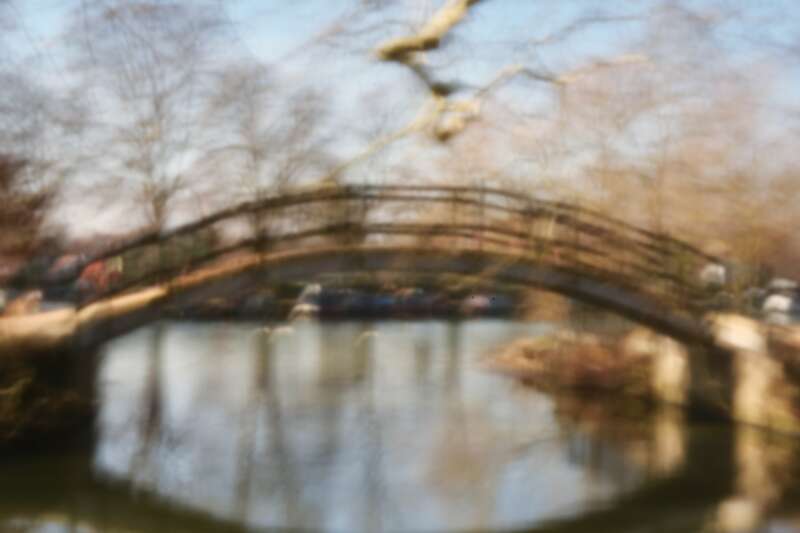 The lens I have has an focal length of 58mm, so many of the images below are out of focus. I think it produces an interesting ethereal effect, and achieves a lot of Instagram-esque effects in camera. I had to touch up each of the following a little; before I set out I didn't realise that there was a small amount of dirt inside the lens, which meant that all the images were initially marked with the same pattern. Tourists in Radcliffe Square. 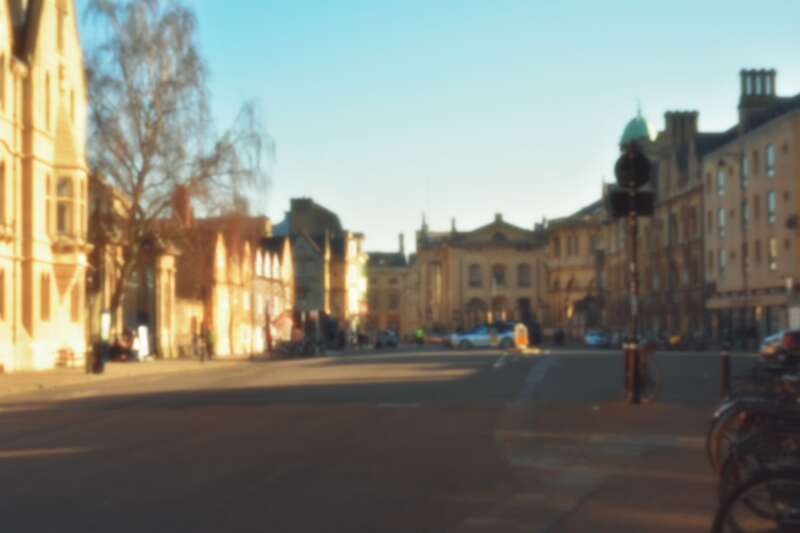 Even in bright sunlight (Oxford is seeing unusually nice weather for February) I had to expose the image for 4 seconds at ISO 100. Any motion thus appears blurred, so a tripod was a necessity. Looking east on Broad Street. This was a 1 second exposure at ISO 400. 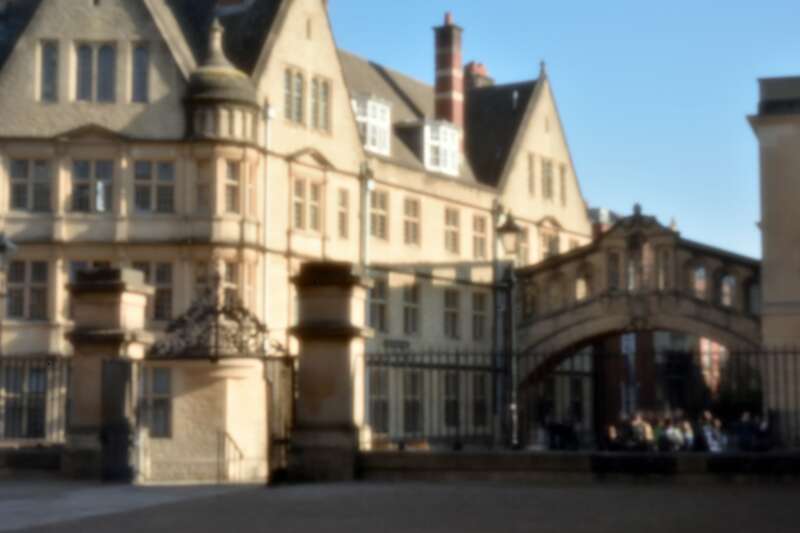 Balliol College, left, has a nice glowing effect, which was achieved entirely in camera. 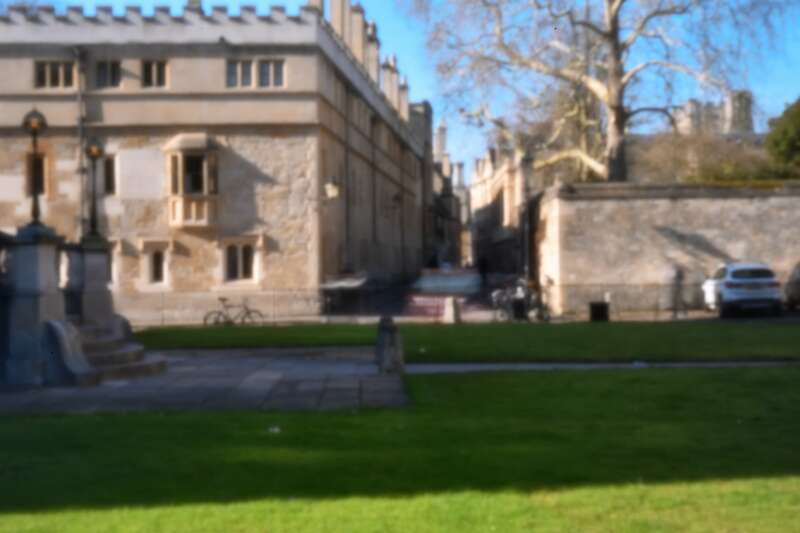 Brasenose Lane from Radcliffe Square. 1 second/ISO 400. Bridge of Sighs from the Old Bodleian. 0.8 seconds/ISO 400. 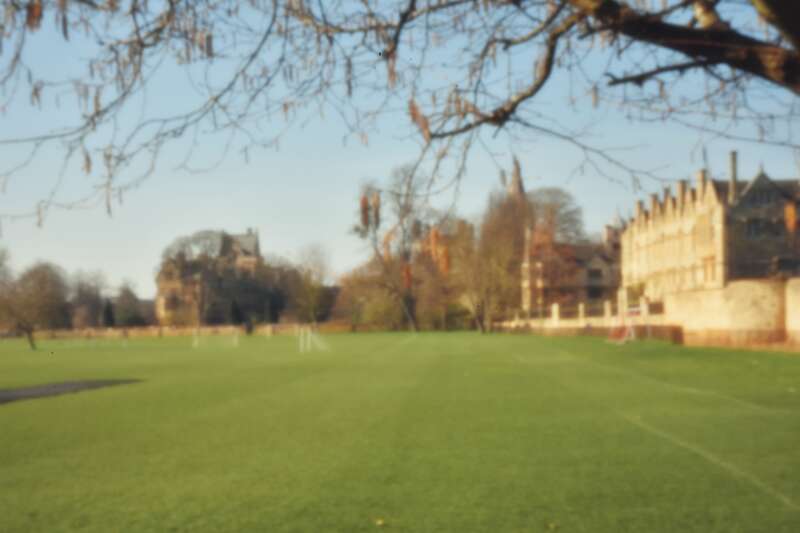 Sports fields and Merton College from Christ Church Meadow. 0.5 seconds/ISO 400. 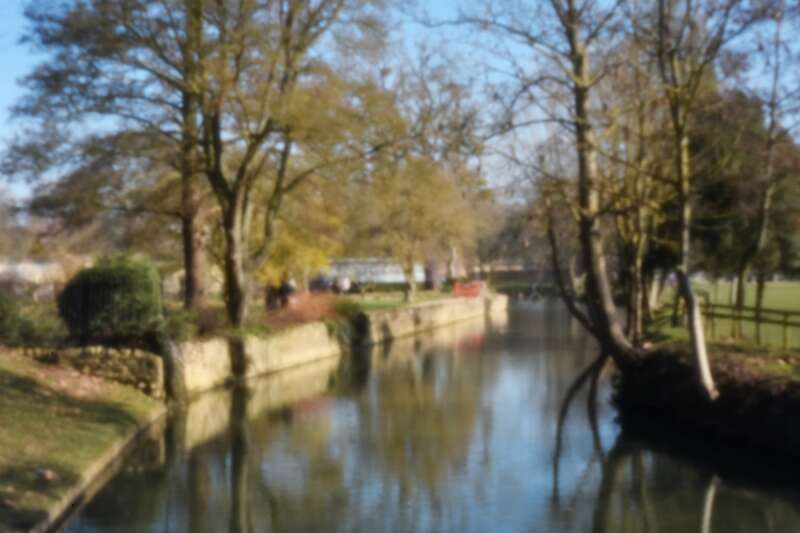 The Cherwell, Christ Church Meadow. 0.5 seconds/ISO 400. The bridge that joins The Cherwell and The Thames. 2.0 seconds/ISO 100. 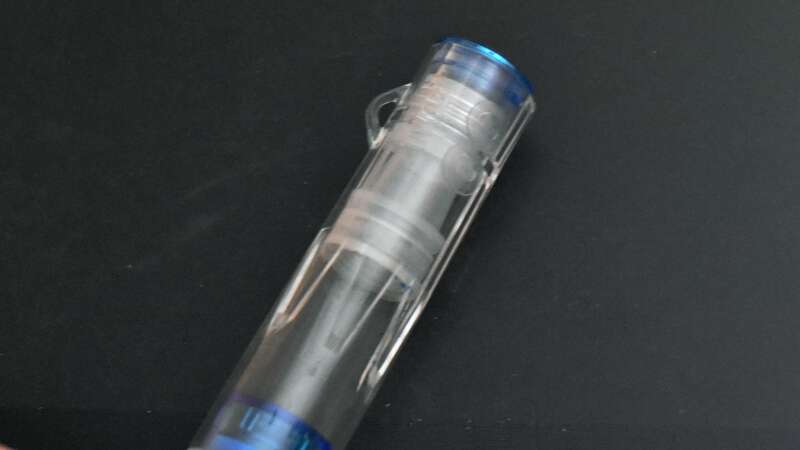 The TWSBI Go, a new demonstrator pen from the Taiwanese manufacturer, was released in August 2018 and I purchased mine shortly after its release. I’ve been using TWSBI pens on and off for the last couple of years (I wrote all my finals with a Diamond 580 last year), but until this week I hadn’t spent much time with the Go. 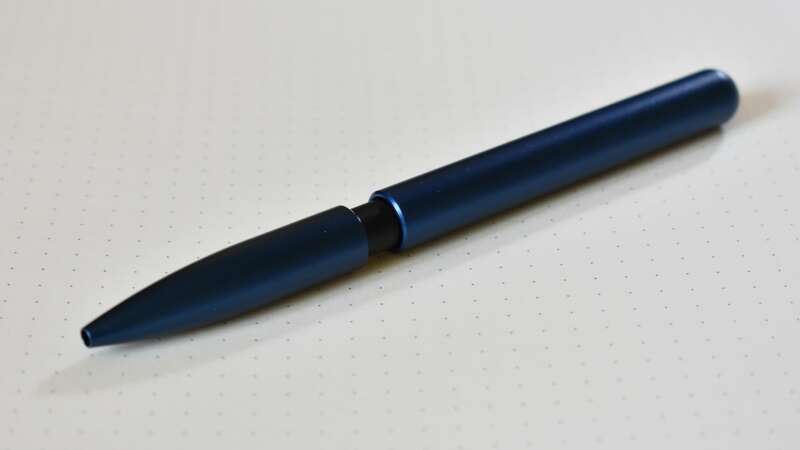 The body of the Go is an all plastic construction, and this makes the pen very lightweight. All the plastic is translucent, and the body is available in either sapphire, pictured, or "smoke". By far the most interesting aspect of the pen is its filling mechanism. 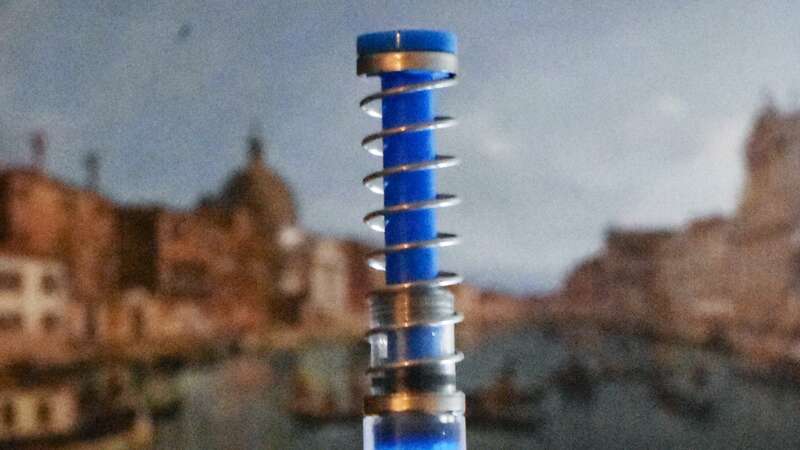 Like other TWSBI pens it doesn’t require a converter or cartridges, and instead includes a spring-based vacuum filling system. All my other pens use screw-based systems, so this was a novelty for me. I’m not a fan of this system because I nearly knocked an ink bottle over whilst releasing the spring, so it serves to be careful. 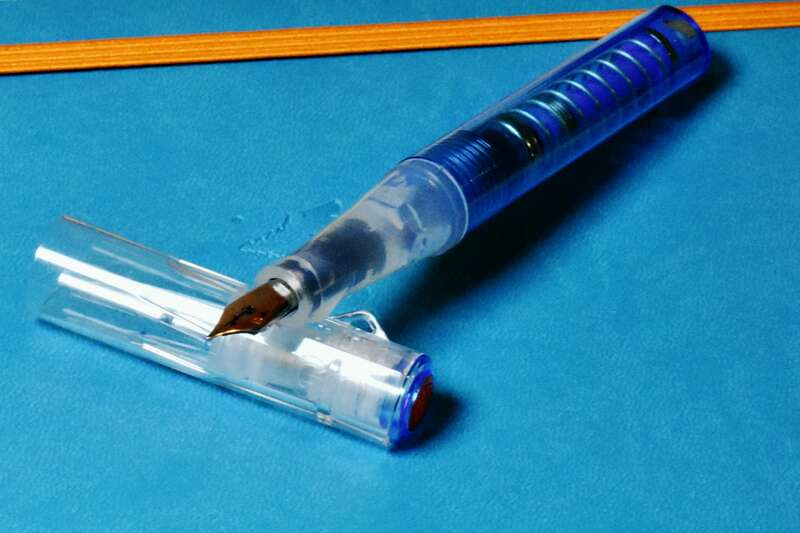 Unlike other TWSBI pens, the cap doesn’t feature a clip. Given that the pen is marketed a pocket pen, I think this is a disadvantage. Instead, TWSBI replaced the clip by a hook for a lanyard. I haven’t seen this on a pen before, but it doesn’t strike me as very useful. The cap is made of plastic, and it is only a little wider than the body. This means that it posts tightly, but I’ve avoiding doing so out of fear that the plastic may crack. Overall, for the price, the pen writes well and although a little, a comparable experience to the TWSBI Eco. As far as I can tell they both use the same steel nib, although the markings are clearer on the Eco. Both sections are a traditional hourglass shape, but the triangulated shape of Eco is easier to hold. At $19 it is around $10 cheaper than the Eco, previously their most affordable offering. If you want a great demonstrator I’d recommend getting the Eco over the Go, because you’ll get a slightly bigger pen that rests more comfortably in the hand. Alternatively, if you’d like a pen that your friends will mistake for a vape, the Go is a great choice. 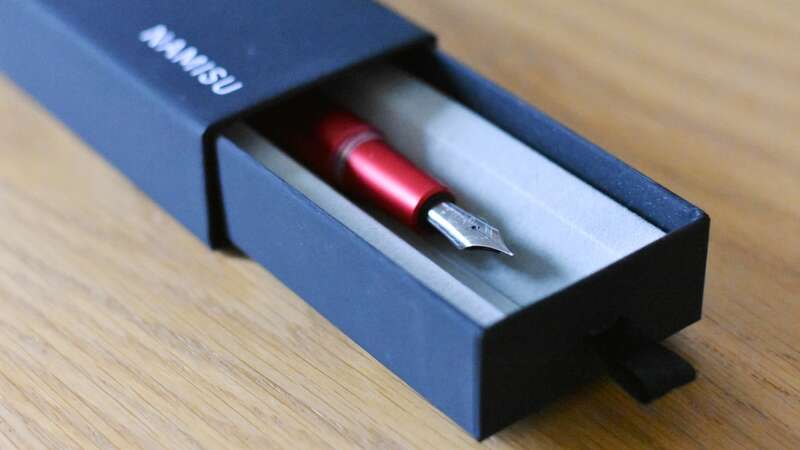 Namisu is a company that designs fountain pens in Fife, Scotland. They've been operating since 2013, but I only discovered their work earlier this year. As far as I'm aware there are relatively few British pen manufacturers, with most expertise now found in Germany and Japan, so I was keen to try out their work. 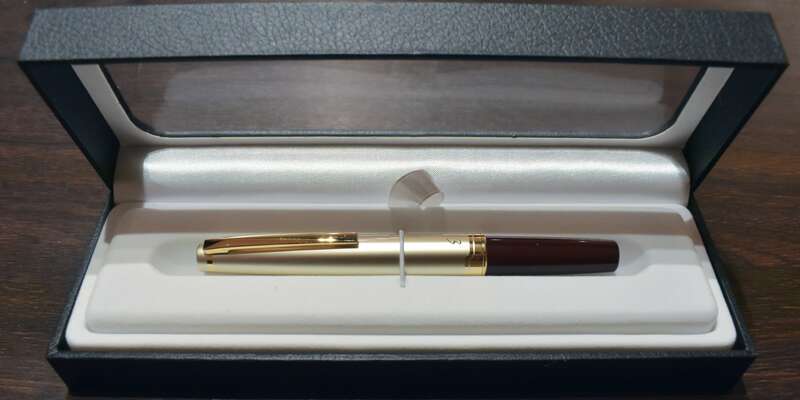 Predominantly focused on minimalist design, their pens are devoid of any of their own branding. They compensate for this with distinctive shapes and high-quality materials. The Nova is one of their earliest designs, and has been available for three years. I have the aluminium model in red, although it is also available in brass, titanium, and other colours. Of these, I think the titanium looks the best and I imagine they don't differ in their ergonomics. Namisu currently also ship the similar Orion and Ixion pens, along with a few rollerballs, although these are more expensive than the Nova. Each of their pens ships with nibs produced by Peter Bock in Germany. The choice of Bock nibs is a pragmatic one, I think, as they are both a reliable and relatively inexpensive choice. My Nova has a fine steel nib, although titanium and broader nibs are also available. 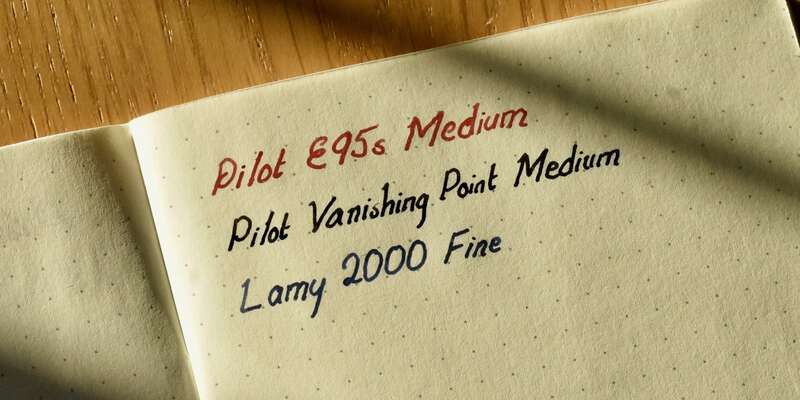 I initially struggled to get ink flowing through the pens, and experimented with a number of inks and notepads, but continued to find that the nib scratched the surface of the paper, often without flow. However, after flexing the nib a little I eventually managed to get ink flowing comfortably from the pen without issue. 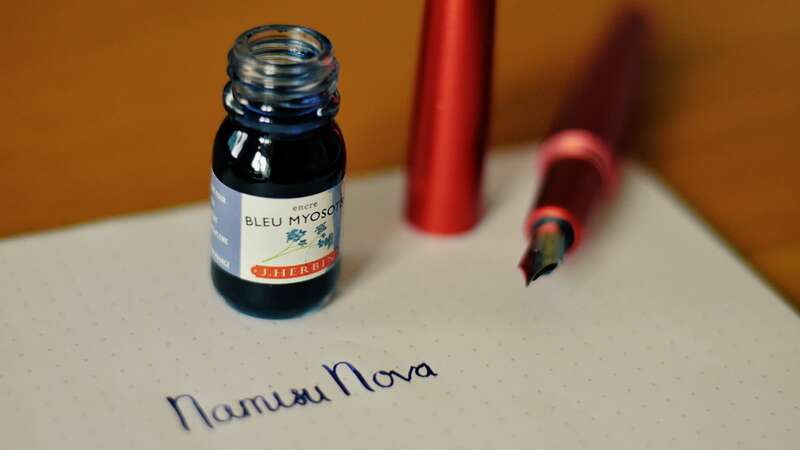 Although it looks very nice, I didn't find the Nova terrificly comfortable to write with, especially for longer periods. 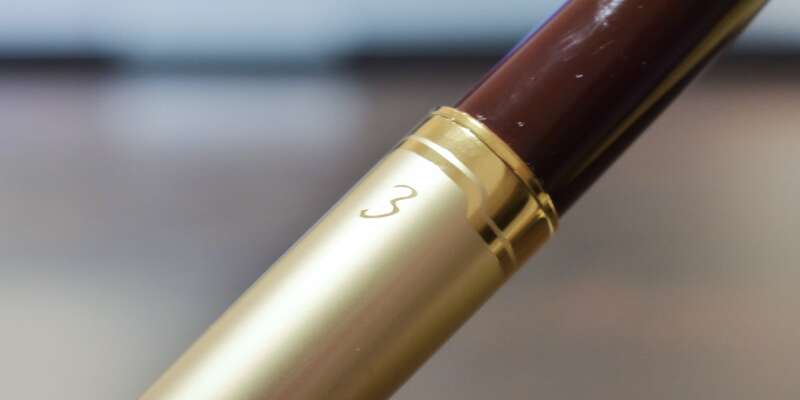 The section — the part you grip with your fingers — is wider than any other pen I own, and its surface is completely flat, rather than a gentle curve or moulded grip seen on other pens. Those with small hands may find the pen uncomfortable to maneuver, but I can certainly see the pen being more comfortable for those with larger fingers. 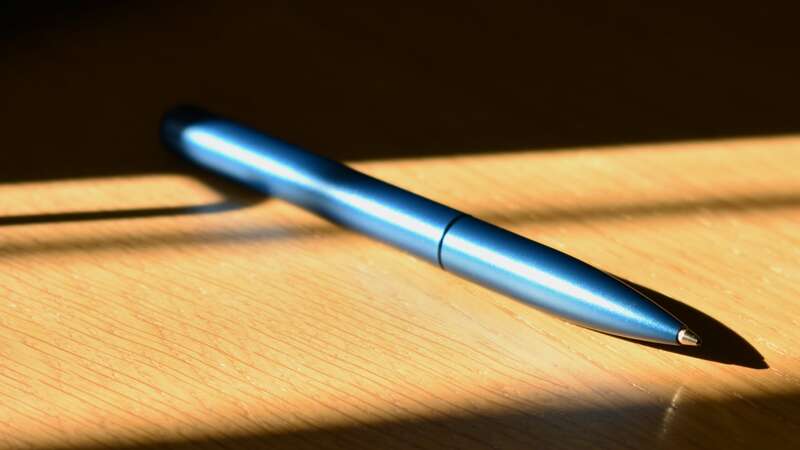 The flat surface was a bigger issue, especially considering that the pen seemed to initially require significant pressure to get ink flowing, with my fingers left with pen-shaped indentations after an hour or two of use. The only other significant downside of the design is that it tended to roll a lot on my desk. 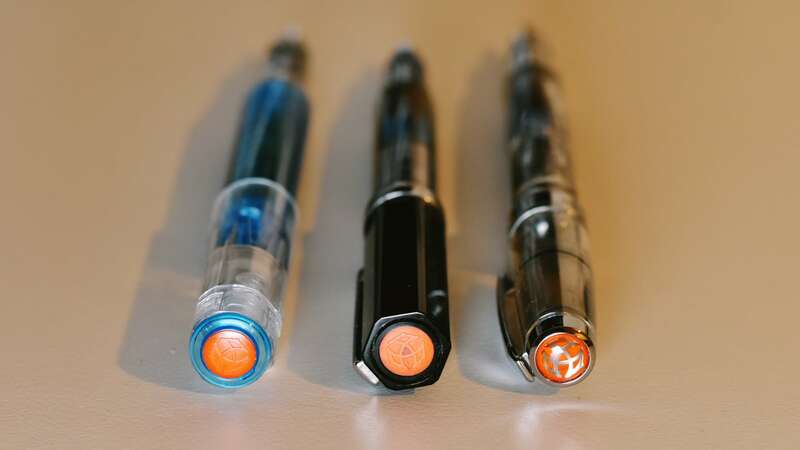 Overall, I wouldn't recommend the Nova over other pens in its price category — TWSBI certainly make significantly nicer pens for a similar price — but from an aesthetic perspective it is certainly worth it. 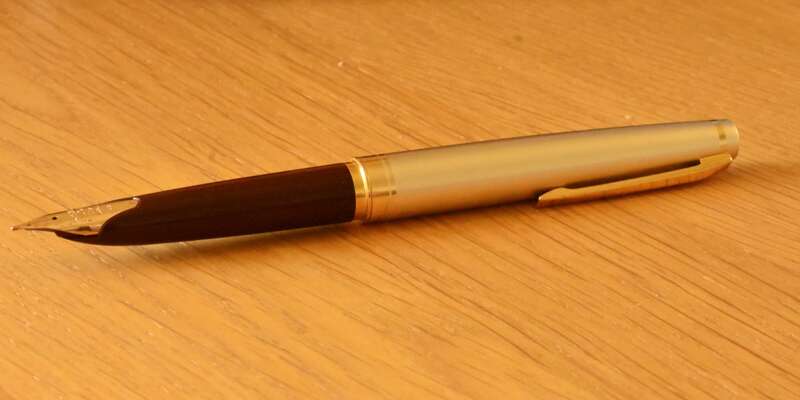 There are very few pens with all-metal bodies available at that price, and after about six months of ownership I haven't noticed a single scratch anywhere on the body; this pen is durable. I haven't yet experimented with posting the pen, but I wouldn't recommend it as the cap screws on and off. Prior experience suggests that the screw thread is likely to eventually damage the body. The Nova is available at Namisu's online store for £45. Over the course of the last term I presented five introductory Python sessions as part of the Oxford University Computer Society's Learn to Code series. This year we saw the highest demand ever for the course, with over 1,100 people “interested” on Facebook and more than 200 attending the sessions — we packed out both lecture theatres in the Department of Computer Science! All of the session materials from the course are available here. Note that this is my personal fork of the course materials with the version that I presented (it is quite likely that a future commmittee will present a different version next year). A playlist of all the screen recordings is available on YouTube. This was the first time I'd ever done any video editing, but in the end it turned out to be more of an exercise in audio editing. The first video was edited entirely in iMovie, but from the second session onwards all the video was edited in Final Cut Pro. I imagine that iMovie would have been sufficient for all the videos, but I fancied trying out Final Cut Pro. We used a Focusrite Scarlett Solo interface along with the cheapest wireless mic I could find on Amazon to record the audio. I later had to redub a few of the sessions due to recording issues in the lecture theatre, but most of the audio was recorded live. The sessions recorded in the lecture theatre sound a lot better and, as a friend commented, avoid the “teenager making Minecraft videos” vibe. I struggled to get audio levels right until the very end of the course, so many of the early videos are far too quiet. By the end of the course I was also a lot more leniant in what I allowed through the editing process; some of the early sessions don't have a single utterance of “erm”, “OK”, or “so” but by the end I gave up and tried to keep the editing process straightforward. It would have been nice to record video for the session in addition to the screen captures, but a lack of preparation on my part killed this plan. Besides, each session required around a total of ten hours a week to prepare the resources, reheasrse, execute the session, and then edit the video and I don't think I could have spared much more time out of an already packed term. 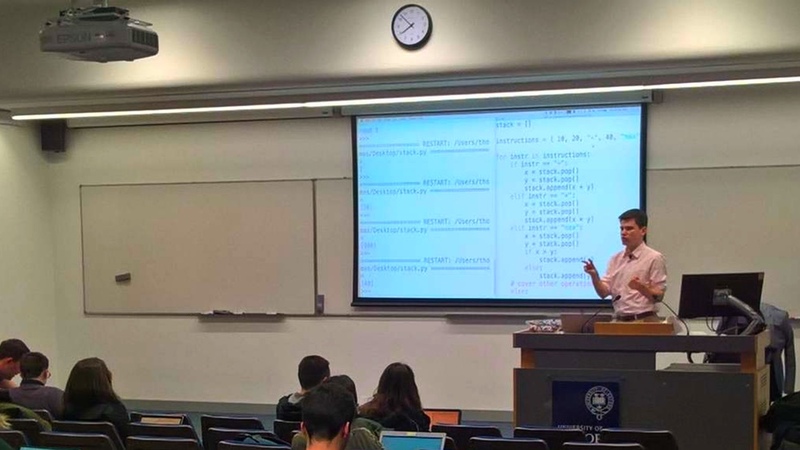 I am indebted to the dozen-or-so Oxford CS students that dedicated their Thursday evenings with me to run the course this year, in particular to Sauyon Lee, who presented sessions in a second lecture theatre. The student helpers managed everything from registration to helping out students with exercises, which allowed me to focus on just the presentation during the sessions. 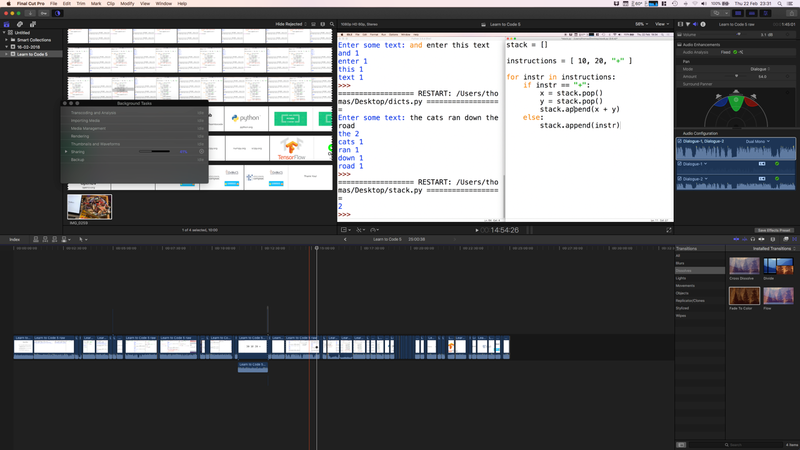 Overall, teaching Learn to Code this year was an absolute pleasure. Even after relatively high demand for the course last year I was shocked to see so much demand this year, and I loved seeing so many students returning each week. At the beginning of term I met with David Malan, the originator of Harvard's CS50 course, and after hearing of such high demand at Harvard for a programming course I was delighted we could replicate similar demand on this side of the pond. I wish the very best to my successors teaching our course, and I've no doubt its popularity will continue to grow. You can download the Play Time for $0.99 on the App Store. Yeah, I quite like functional programming :). The algorithmicx package provides macros for typesetting algorithms that can include math or text, and code blocks are automatically indented. I don't particularly like the default style, however, as it redundantly includes a line for the end keyword for each block and doesn't allow for single line if statements, while loops, or for loops.